As an artist, writer, actor or entrepreneur, you will run into people who quit. You will meet people who stopped following their dreams for one reason or another. They may have gotten married, had a kid and stopped believing. As one of the people I listed, the quitters will see you working, see you grinding and hustling to reach the next mountain and they’ll become jealous. They may do everything to stop you, they won’t support you because they don’t believe anymore. They stopped believing in fairy tales when whatever circumstance stole their dream. You’ll watch them going about their lives, dying on the inside because they see you working, their jealousy flares up and they’ll try to find a way to stop you. 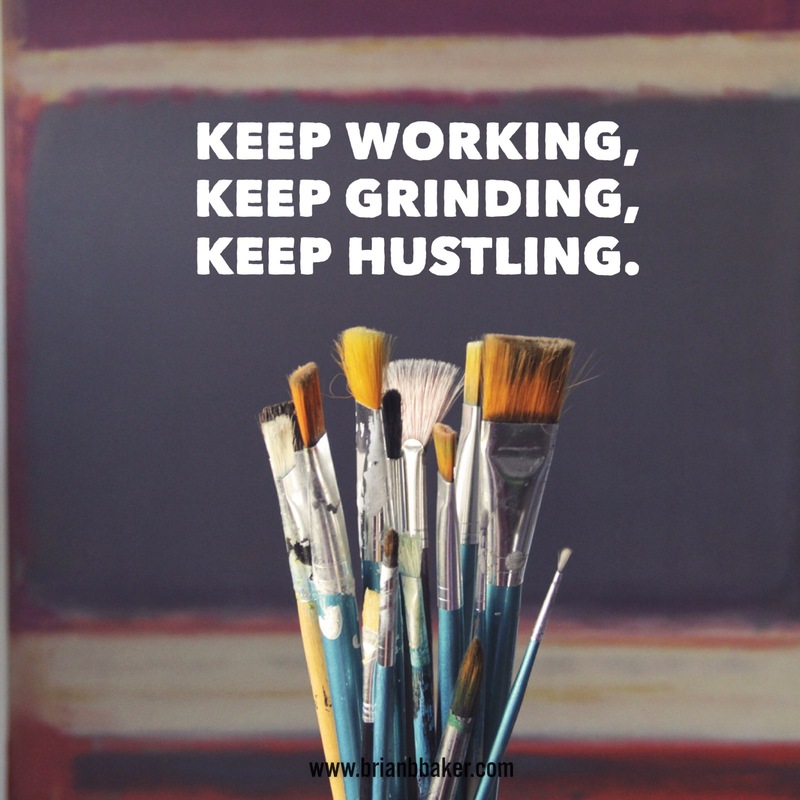 Keep working, keep grinding and keep hustling. No matter what happens, don’t stop working. You may have written a book, it’s sitting on your nightstand, your computer or you have an audition for a part, and they scoff at your dreams. Stand up, go to that audition, finish that book, talk to the owner of the gallery that shows your type of artwork. Failure should motivate you, the quitters should motivate you, the life you don’t have and life you want for you family, that should motivate you. The voices in your head will always tell you that you can’t do it, the people, in reality, should be the least of your worries. Ignore them, keep working, keep grinding and keep hustling. Great post, great advice! those who say ‘it can’t be done’ really are saying ‘I can’t do it’, so don’t listen to them!